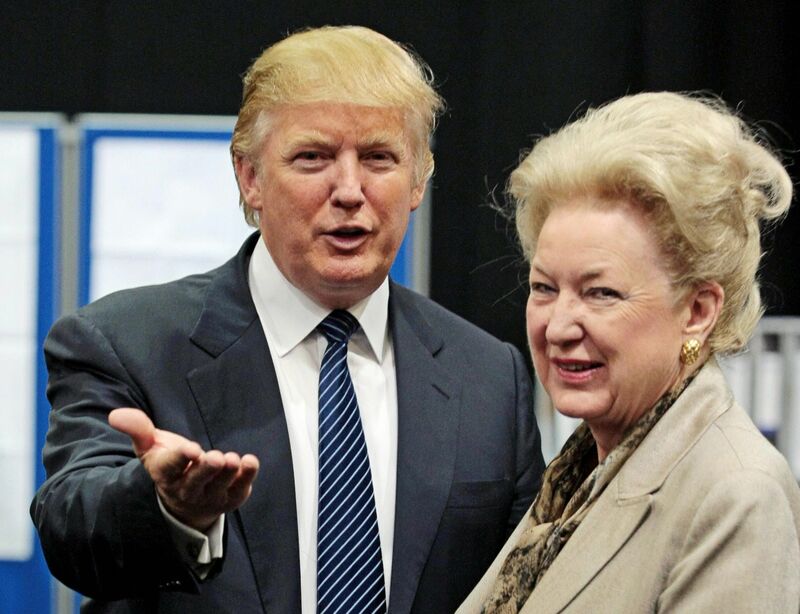 President Donald Trump’s older sister, Maryanne Trump Barry, has formally retired as an appellate judge, according to a report, marking the end of a conduct investigation following allegations of tax fraud against her wealthy family. Trump Barry, 82, came under a judicial conduct investigation after complaints were made following an explosive report by The New York Times detailing the Trump family’s history of alleged tax fraud, which helped make them wealthier. The Trumps have denied any wrongdoing. But the Times now reports that Trump Barry, a senior judge on the U.S. Court of Appeals for the 3rd Circuit, has filed her retirement papers, which ended the conduct probe into tax fraud. Such investigations can be carried out only for sitting judges. She was inactive for two years. Trump Barry was nominated to the appeals court by then-President Bill Clinton in 1999, according to the Federal Judicial Center. Before that, she was a U.S. District judge in New Jersey, a position she began in 1983 after her nomination by President Ronald Reagan. She had worked as an assistant U.S. attorney in the same jurisdiction for nearly a decade since the mid-1970s, rising up the ranks in the office and building her reputation. Unlike her brash brother, Trump Barry has led a life of public service largely away from the public eye. She married twice, first to David Desmond, with whom she had a son, clinical psychologist David Desmond, and then to John Barry, who died in 2000. John Barry worked as an attorney for Donald Trump when he was struggling financially with his New Jersey casinos, according to WQXR. Barry Trump was born in 1937 in New York to real estate mogul Fred Trump and his Scottish wife, Mary Anne MacLeod, and was their eldest child. She was educated at Mount Holyoke College (1958), Columbia University (1962) and the Hofstra University School of Law, from which she got her Juris Doctor degree in 1974 before embarking on her legal career. The president and his siblings Maryanne and Elizabeth were accused by the Times in October of meddling with the valuation of their father's real estate empire, worth over a billion dollars, to commit tax fraud, paying a fraction of what they were supposed to. At the time, the president’s attorney Charles Harder rejected the allegations. "There was no fraud or tax evasion by anyone. The facts upon which the Times bases its false allegations are extremely inaccurate," he said. Following the report, the New York State Department of Taxation and Finance said it was looking into the allegations. "The tax department is reviewing the allegations in the NYT article and is vigorously pursuing all appropriate avenues of investigation," department spokesman James Gazzale said.